Youth from cities all over Iraq came together in solidarity to commemorate what was lost in the terrible bombings of al-Mutanabbi Street in Baghdad 11 years ago. In many cities throughout the country, young people organized events on this tragic anniversary as a way to celebrate and preserve the spirit of Baghdad’s famous cultural street, known as a vibrant artistic, musical and literary center. In 2007, extremists targeted Mutanabbi Street with a car bomb that killed many civilians. The bomb was an attack on the artery of culture and civic life in Baghdad. 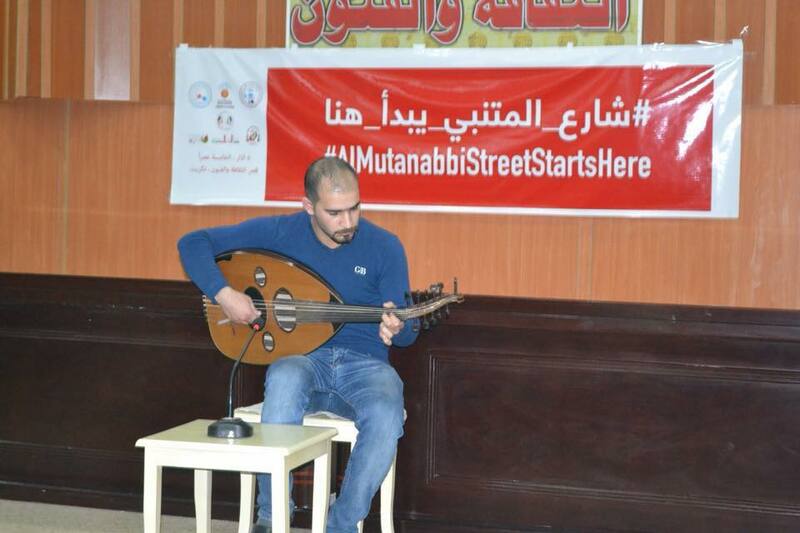 After 11 years, young people in Hit, Ramadi, Fallujah and Tikrit in western Iraq, in Babylon, Baghdad, Diwaniyah and Najaf in northern Iraq, and in Nasiriyah in southern Iraq, all expressed their solidarity by declaring their cities and cultural spaces extensions of Mutanabbi Street. Youth from the Hit Forum for Peace organized a gathering at the cultural café in the Shaqofiyan Center. People lit candles and sang poetry in memory of the painful event. The youth held banners expressing solidarity between Hit and Baghdad, and in doing so, displayed the strong ties between the Iraqi people which transcend sectarianism, discrimination and acts of terrorism. Many of the poems spoke of those who gave their lives defending Iraq against extremism and violence, and sang of the future they aspire to build together. 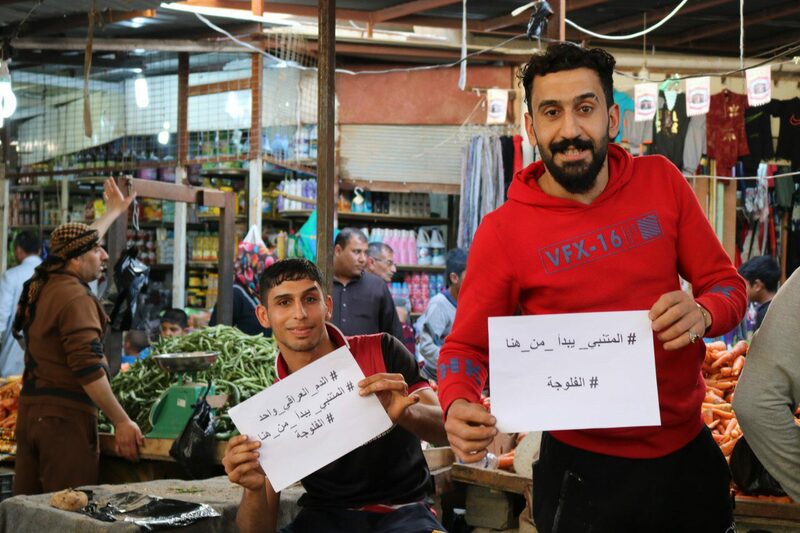 The Fallujah Peace Forum took part in a similar activity in which youth wandered through the streets of the city, with signs raised, declaring “From Fallujah to Mutanabbi … we are one Iraqi family” and other slogans. The message of each was clear: we stand with Mutanabbi and against bombing, violence and terrorism. In Tikrit, in cooperation with the Sawtna Foundation and the Cultural and Arts Palace, volunteer teams organized a cultural evening to remember the bombing and to honor those who died. This included the screening of a documentary film, and several performances of poetry and storytelling. 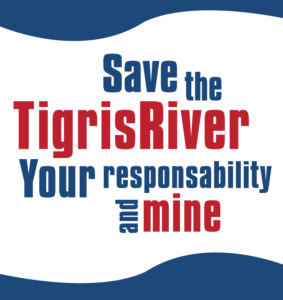 Also involved were volunteers from the group “Let’s Make Joy”, the Tikrit Youth Council, a team called Support Women, and another called We Are Peace Volunteers. In Babylon, youth from the Babylon Social Forum gathered together near the Ishtar Gate to recall the incident and show solidarity by playing music for the lives lost. A number of young people held banners showing al-Mutanabbi Street and its visitors meandering and enjoying themselves amidst its culture and books. The youth of the Diwaniyah Environment and Peace Forum toured the streets of their city to speak to the people about the horrible event and their memories of it; they carried signs of solidarity which supported culture as a way to combat violence and counter extremist ideas. 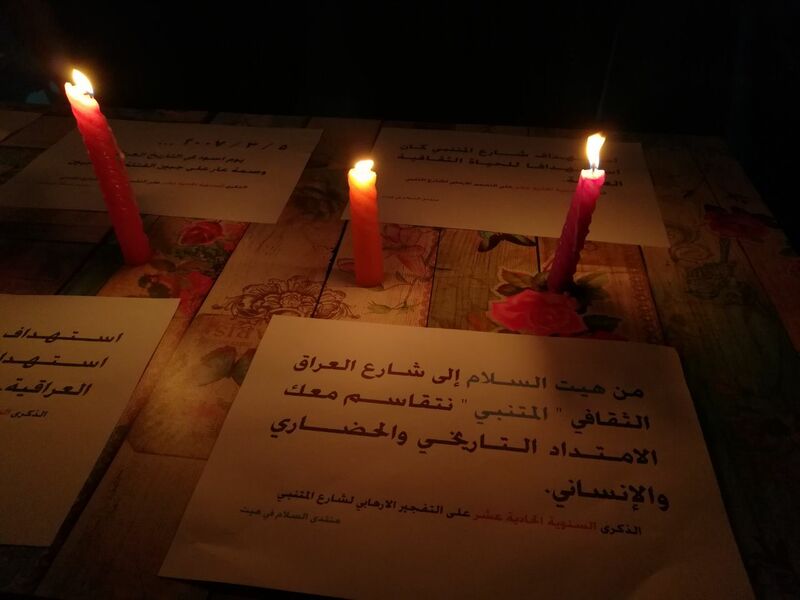 Youth from the Najaf Social Forum organized a moment of mourning for the victims in one of the city’s cafes where candles were lit and people could remember the painful incident. Youth from ‘I love Dhi Qar’ organized activities in their city aimed to inspire cultural and literary activity, thus revealing the resilience and continued vitality of Iraqi artists and writers, even in the face of tragedy. 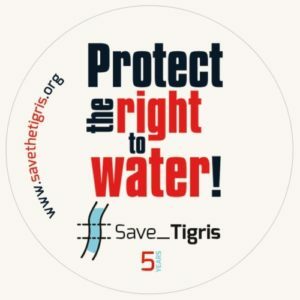 The youth organized the individual events in coordination with the Iraqi Social Forum, the Voice of Iraq and the nonviolent community, as well as in cooperation with a number of local and foreign institutions. Together they expressed their solidarity with the families of the victims and street ‘regluars’ who lost their lives 11 years ago. Al Mutanabbi Street is still a vital cultural center in Baghdad and the support from other Iraqi cities shows the strength of the Iraqi people and the power of their culture to build a better tomorrow.